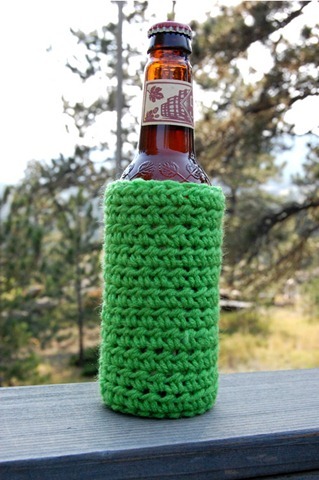 Photo Tutorial: How To Crochet A Beverage Coozy - It's New and Different! It's New and Different! A couple years ago, I went on a camping trip up on Guanella Pass. It was Labor Day weekend, and at over 10,000 feet, it was pretty chilly in the evenings. I was crocheting next to the campfire, and my friend Mike asked me to make him a mitten. So of course, I did my best to make him a mitten. But I was just learning to crochet and had never worked without a pattern before. After a few failed attempts, it dawned on me. After years of making these things, I’ve perfected the pattern. It stretches to fit both a can and a bottle. It protects your frosty goodness from the hot sun, and prevents frostbite on cold mountain evenings. And best of all, it’s easy to make! I think this is a great beginner project, and you only have to know a handful of stitches: chain (ch), slip stitch (sl st), double crochet (dc), and half double crochet (hdc). So let’s do this. First, you’ll need to collect supplies. I like to use worsted-weight acrylic yarn because it won’t shrink and it’s machine-washable. This pattern is designed for a J10/6.00 mm hook. An aside: do you say “cozy?” Or “koozie?” Or “koozy?” Or “mitten?” I always thought they were called “cozies,” but Mike insists on “koozy.” I’m going with “coozy,” in an attempt to please everyone. Or no one. Hard to say. Ch 2; double chain (dc) directly into the ring 10 times (10 dc + ch = 11 st). Be sure to overlap the tail as you work. Grab the tail and pull gently to close the magic ring. Join with a slip stitch (sl st) to finish the round. Chain (ch) 3 to start the second round, then 2 dc into the next stitch. 2 dc in each stitch around, and one additional dc in the base of the chain for a total of 22 dc. Join the second round with a slip stitch and ch 2 to begin the next round. 1 half double crochet (hdc) in each stitch around for a total of 22 stitches (21 hdc + ch = 22). At the end of each round, join with a sl st and ch 2 to begin the next round. At this point, you’ll be able to see the structure of the coozy take shape. Keep going for 11 rounds up from the base. If you forget how many rows you’ve done, just count! In the center photo below, I’ve done 9 rows – 2 more to go! As you can see on the right, there’s only a small seam visible up one side. When you finish the 11th round, join with a slip stich, cut the yarn, and pull through. Tug gently to tighten, but not too hard…you don’t want to cinch the top of the coozy too much! Thread with a large needle and weave in the ends. Carefully off clip the ends closely. And you’re done! These things are super easy to make and you can customize them however you like. And of course, if you don’t feel like making your own, check out my Etsy store! In fact, you can even buy this neon green one! LoriD on May 6, 2014 at 9:18 pm. Hi Mim, this is an awesome pattern! I have one question. If you wanted to add a handle (to use on cans) do you have any idea how you would do it? Thanks! Joan on May 12, 2014 at 1:13 pm. Mim, I laughed from you funny story. I would have done the same thing. A beer mitten sounds a lot easier than a hand mitten. I made one. It’s great. My bucket list goal is to use up all my yarns and cottons before I visit the angels. John on June 13, 2014 at 11:06 am. I really like this idea but I haven’t crocheted in years. How much yard did you use?  Conni on May 16, 2016 at 8:35 am. Hello Mim! I love the Cozy….I went in rounds so no seam! Just wanted to thank you and share.